Given the fact that there are a thousand apartment buildings being built in this area, I assumed that the new building nearing completion in my neighborhood was an apartment building. But as it turns out, the building – called The New York – is not apartments, but instead a multistory industrial building targeting “small-time manufacturers or tinkerers, and the creative office users who don’t mind working next door to them” as its tenants. The goal, for The New York’s developers, is to confront the changing nature of manufacturing in artisan-rich places like Portland: heavy industry and large-scale mass production is no longer the dominant model of manufacturing. In other cities that have concentrated artisan activity, we see the same approach – places like the Russell Industrial Center in Detroit or 630 Flushing in Brooklyn. In Portland, there are numerous examples of old buildings that have been rehabbed to fit new uses (Jane Jacobs would be proud). What makes this building different is that it is new from the ground up: this is the first example, that I am aware of, of a building built specifically for the artisan economy. In other news (sorry for the cliché), Dr. Heying was recently interviewed by Ali Velshi on Al-Jazeera America. The interview is in Al-Jazeera’s archives, although the archives only catalogue the show (and therefore the interview) in one-minute segments. But the whole segment is viewable, even if you do have to click through 8 or 9 segments to watch the whole thing. Watch the interview here or watch the whole segment on the Artisan Economy from the beginning here. It seems obvious to suggest that there is an architecture to Portland’s artisan/maker scene. But this is no normal architecture; it is an architecture that contains other architectures, all of which are constantly free to become some other shape or form, always and never finished. People come and go in the community of makers, enterprises flit in and out of existence, and styles/trends constantly are created, destroyed, reshaped, and recycled. Rapid changes in technology in turn change embedded modes of communication, coordination, and commerce in the making ecology. Artisans and makers live amongst a diverse and ephemeral architecture marked by possibility (rather than routine) and becoming (rather than being). The idea of assemblage, which comes from the theoretical work of Deleuze and Guattari, helps us to think about how Portland’s makers’ architecture might function. Put simply, assemblages are a theoretical conception for imagining the ways in which linkages are formed within and between individuals and how they develop into social groups. Importantly, assemblages take into account the intensive environment from which each individual emerges. This is where the notion of becoming is most relevant: the closer an artisan works with her craft, the more she becomes connected to and enmeshed in the ecology that supports it. She carves out new linkages through this ecology when she seeks inspirations for design, machines and tools for crafting, collections of people to consume and support it, and so on. 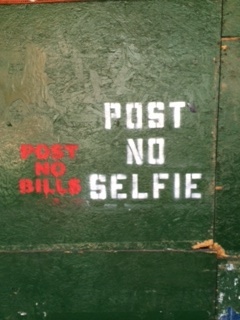 I just returned from a long weekend in Brooklyn. My visit inspired me to comment on the tensions between creativity and neighborhood change, and what those tensions mean for our investigation of localism. Gentrification is a word that has been on many New Yorkers’ minds (and Instagram feeds) lately, and after considering my three visits to the borough over the past decade and a half, I can see why: each time it’s looked radically different from the previous visit. My recent visit made me think of similar transformations in Portland, where 20 years ago the now luxurious and (arguably) hip Pearl District (then called the Northwest Industrial Triangle) was mostly comprised of abandoned and decaying industrial buildings with river views of the Portland Harbor Superfund site. 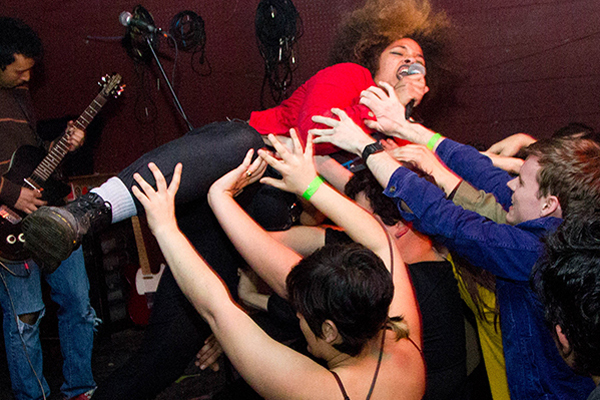 Independent record labels are usually products of thriving local music scenes. Sometimes, if the stars align, they reach a level of success and benefit their surrounding urban landscapes. Factory Records in Manchester, Saddle Creek Records in Omaha, and Righteous Babe Records in Buffalo are some examples of indie record labels that reinvested profits into local redevelopment projects. 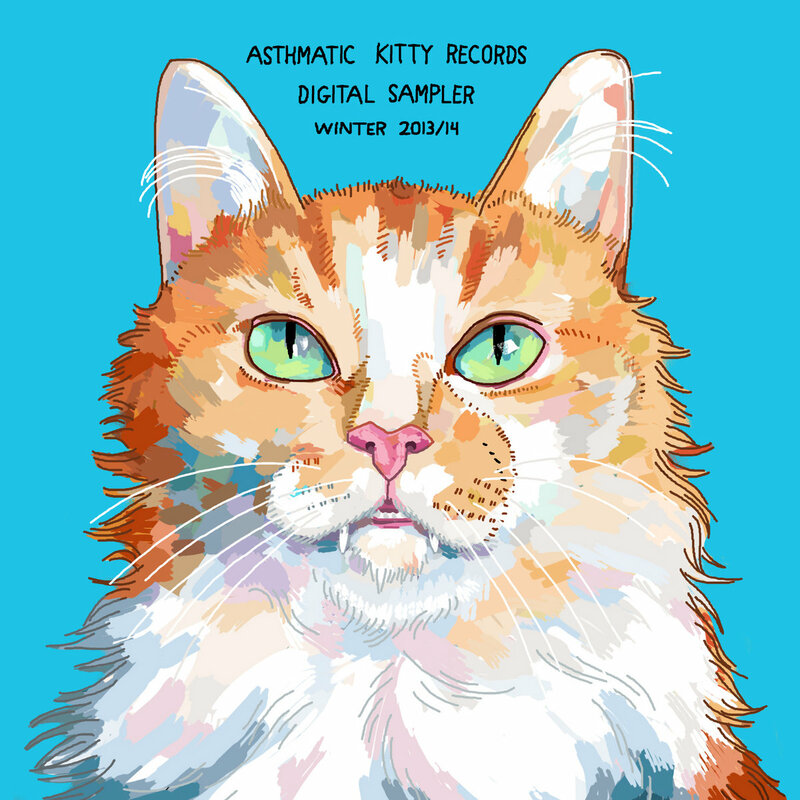 Asthmatic Kitty Records set-up shop in Indianapolis without having any prior ties to the city and quickly found ways to integrate its efforts within the local arts community. This integration helped foster new connections and drive the city’s creative economy. For the full story, click here to read my latest work for The Atlantic’s CityLab. We have addressed the problems of definitions in blog posts past; while we are currently accumulating data that will hopefully help us define aspects of the makers movement, we have been thinking about how makers and making fits into the social and economic landscapes of cities. Making, as Chris Anderson somewhat famously put it may indeed (albeit arguably) be “democratizing the means of production.” To be sure, there are some uplifting stories about increased access to manufacturing equipment and artisan tools, particularly through makerspaces and FabLabs such as ADX Portland and TechShop. I never tire of reading about the birth and development of both Silicon Valley and successful music scenes like Seattle’s grunge explosion, Austin’s progressive country movement, and the free jazz that filled lofts of New York City decades ago. It wasn’t until I woke up one morning in a van on a side street in Chicago that I realized how similar one is to the other. I had just started a doctoral program in urban planning and public policy while also playing in a band in Denton, Texas. My participation in Denton’s music scene – and the larger national network of scenes it is a part of – allowed me to examine directly how a music scene operates. An earlier result of this participatory experience was my master’s thesis, and later journal article, concerning Saddle Creek Records and “Slowdown,” a $10.2 million dollar urban redevelopment project in Omaha, Nebraska. For my dissertation, I wanted to continue my immersion as a scene participant in order to examine a subject that is largely overlooked – how music scenes catalyze economic and community development for cities. On that particular July day in Chicago, it was already uncomfortably warm at 9AM and while walking across the street to the Walgreens to take a “shower,” I thought to myself, is this any different than my friend’s sister who used to sleep underneath her desk every night in Silicon Valley while she helped launched a start-up? Are music scenes like Silicon Valley’s economic cluster with bands as firms operating in a milieu of innovation that includes venue owners, audio engineers, graphic designers, filmmakers, promoters, and others cooperating and competing? I asked myself… What if Hewlett and Packard had started a band instead? I dedicated the next few years to researching and writing my dissertation, What if Hewlett and Packard had Started a Band Instead?… Denton, Texas’ Music Scene as Economic Cluster and its Broader Implications for the City’s Economy. By framing Denton’s music scene in Michael Porter’s economic cluster theory, which is commonly used to explain why Silicon Valley has a regional advantage in productivity, innovation, and new business formation, I was able to better understand the dynamics of music scenes as economic agents. This work allowed me to further demonstrate what I first learned with my research in Omaha – that music scenes have many positive externalities for their host cities, and if fostered correctly with policy, can benefit both participant and city. In the coming months, I’ll post more about my findings. Until then, here’s a link to my research concerning Omaha and information about the garage where Hewlett and Packard launched a company. In a recent post, we discussed the research challenges of defining our subjects of interest. In seeking the answer, we have experienced a variety of related definitional challenges. When thinking about the relation of makers to their local economies, we were presented with the challenges of thinking about what “local” means. How do we bound our notion of local? As we have been preparing our new research objectives, we have been immediately confronted by a handful of research dilemmas. What is an artisan or a maker, exactly, and where do we find them? What limitations do we impose on our research by creating boundaries around the artisans we include? Who gets excluded, and at what cost? Hello (again)! After some time off, the Artisan Economy Initiative has forged a new path in our research on Portland’s artisan economy. AEI has teamed up with the Portland Made Collective to begin to investigate the relationship between the artisan economy and the larger economic “ecosystem” here in Portland. We are interested in interrogating the (in)visibility of the artisan economy within the broader understanding of economy. Karoke as art? Dan Kois, senior editor at Slate and a contributing writer to New Yorker magazine consider this in How Good Does Karaoke Have to Be to Qualify as Art?. Is this just another paean to Portland. Yes, but something more, and along the way he does capture why Portland is a special place for artisans.